Via TFW2005 member Platium, we can report that one of the last Robots in Disguise toys has hit retail in Singapore. 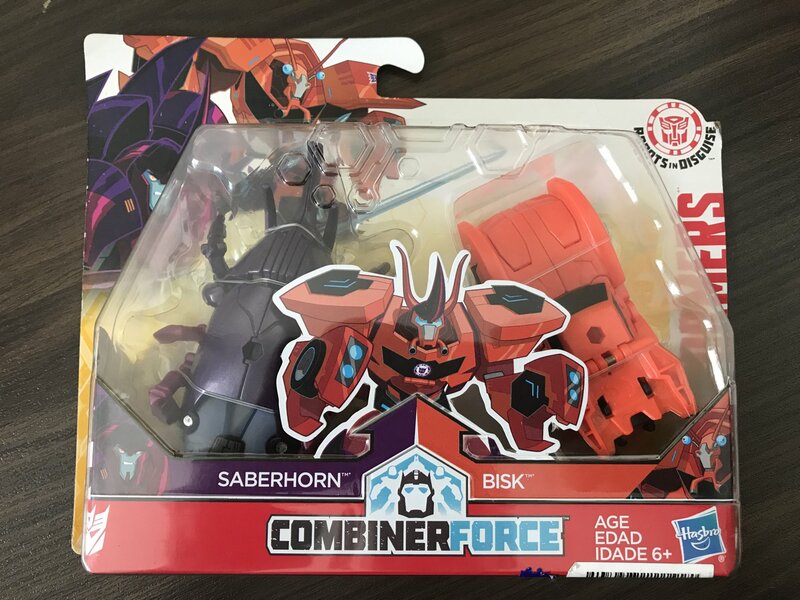 The Crash Combiners Bisk and Saberhorn two pack was spotted at Isetan Nex. There’s no word on if the Optimus Prime and Grimlock (Primelock) set was also out in Singapore, but the pair share an assortment, and since Bisk & Saberhorn were the last one on the pegs, it seems likely someone got them before our man Platium. So it sounds as if the last Robots in Disguise Crash Combiners have hit retail in Singapore. What do you think? Are these on your wants list? Share your thoughts in the thread linked below. Kind of a kick in the robonuts to get another un-made CON from RID as one of these crappy crash combiners. UGH. So many cool unmade CONS from that show should have been warrior class, or at least a step-whatever-changer. It's not TR or PotP, so of course it was? Seriously, this set is something I'm lukewarm about. Cool, I guess, but I'd rather see something else hit shelves that fast. So as much as I'm interested in this, it's a painful reminder that Generations product seems to always be on the back burner. Which puts me in the mood to boycott this stuff, if only for Hasbro to lose a tiny bit more $$$ with these things. To be clear: PotP stuff has not hit the Midwest in a significant way. Sporadic sightings, mostly negotiated out of back rooms. I was honestly hoping to find some PotP stuff in time for Xmas, but it's been an insane race to order items online before they sell out. Meanwhile, in other parts of the world, Hasbro rushes to make this set! From the Singapore sightings thread, originally reported by platium. EDIT: Also sighted by Platium.